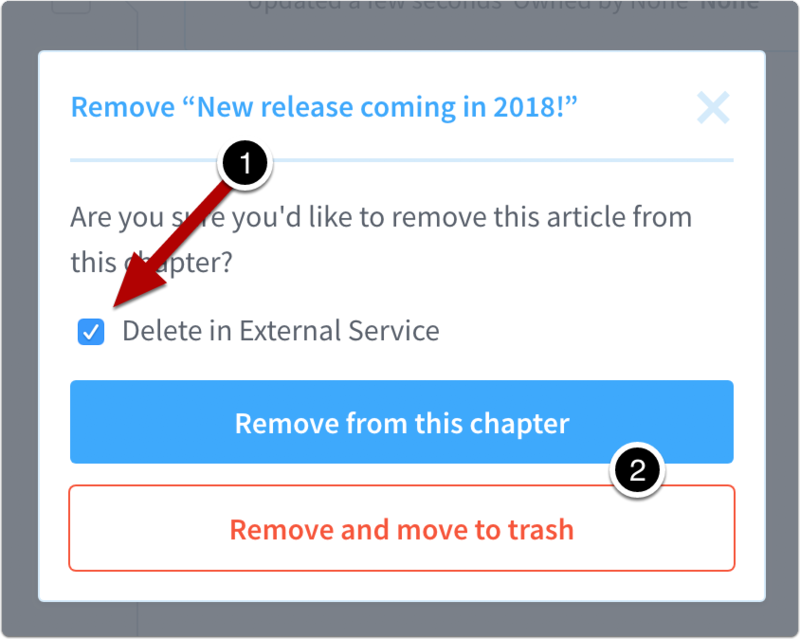 When you delete a manual, chapter, or article in ScreenSteps you have the option of also deleting the corresponding category, section, or article in Zendesk. This article will show an example of deleting an article in Zendesk when you remove it from a chapter or move it to the trash in ScreenSteps. This is done using the Delete in External Service option. Deleting categories or sections in Zendesk when you delete a manual or chapter in ScreenSteps is done the same way. ScreenSteps and Zendesk act differently when you delete a manual (category in Zendesk) or chapter (section in Zendesk). When you delete manual or chapter in ScreenSteps the articles still exist in our system. When you delete a category or section in Zendesk it will archive all articles within that category or section. 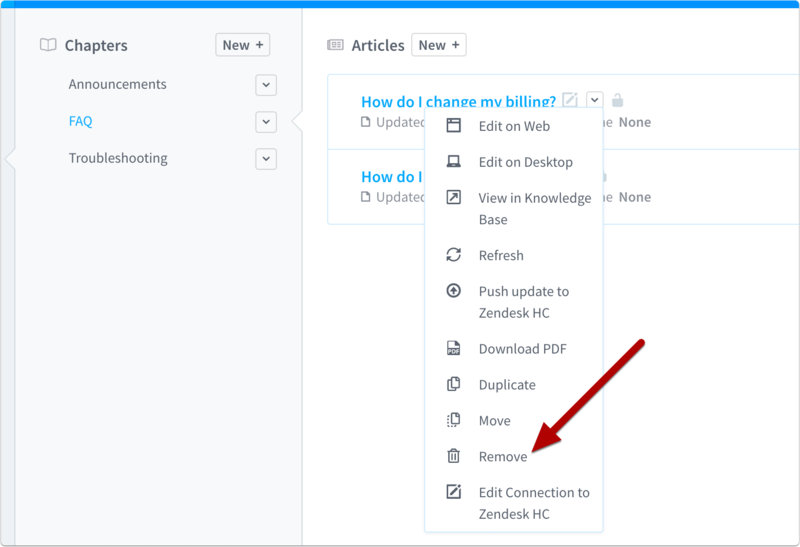 If you check the Delete in External Service option when deleting a manual or chapter in ScreenSteps, check Zendesk to make sure that the corresponding category or section in Zendesk doesn't contain any articles that you want to keep. Select the Delete in External Service checkbox. This will delete the article in Zendesk. Select one of the two remove options to either remove the article or move it to the trash.